📅 May 2018 March 21, 2019 by Bruno B. This Porto weekend itinerary was made for anyone visiting Portugal’s second largest city for the very first time. I cover a bit of everything: local tips, where to eat and of course, the best things to do and see. Bem-vindo ao Porto! I’ve lived in Porto on-and-off for about a year now. Every time I come back I feel I’m at home and every time I go away I miss the city so much. I’ve watch it grow from a dark gloomy place to a modern yet still traditional European city. During this time, I’ve welcomed many people here – including my family – for short trips. Usually over a weekend. This made me think of custom weekend itineraries and refine what are indeed the best things to do in Porto. Now I’m delighted to share this knowledge with you. Let’s go! This Porto itinerary was created for first-time visitors to explore the city in only 2 FULL days. So it’s perfectly suited if you’re visiting for a weekend. If you’re staying for longer, there’s more tips in the end for a longer stay (3-4 full days). 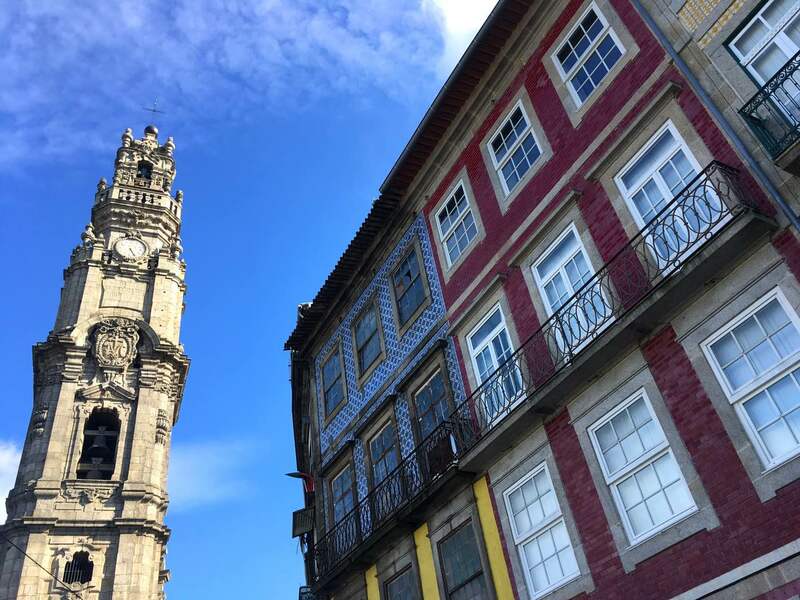 I also recommend you taking a read at my Porto city guide, which contains some expanded tips of Porto, such as tourist traps, what and where to eat, best time to visit, and other must-know info. You can follow all the places I’m about to mention on the custom map below. Green pins correspond to Day 1 places, Red pins to the ones in Day 2, Purple to extra places. Note: Porto has a some very steep streets and this guide requires a lot of walking around. The best way to get to know Porto is by foot, but this may not be suited for couch potatoes. Consider yourself warned! If you arrive Porto in the evening, there’s obviously not much you can do. 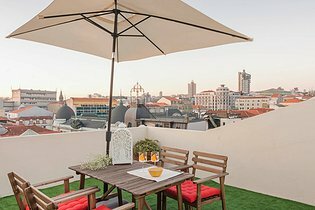 Watch the sunset at the super cool outdoor seating of BASE, have a nice traditional portuguese dinner (see section below) and go for a drink in one of the many bars around Galerias. Taberna Santo António: family-run restaurant serving affordable traditional meals. Portions are huge and so is the heart of Dona Hermínia, the lovely owner. Galerias de Paris: right in the heart of the nighlife area, this place serves breakfast, lunches, dinner and turns into a bar with live music at night. Quirky setting. Museu D’Avó: literally translated Grandmother’s Museum, it’s a kitsch place with random decoration elements. Nice low-light atmosphere. The only drawback is the ridiculous policy of allowing smoking inside. Taberna dos Esquecidos: recently opened, serves unpretentious portuguese petiscos (tapas). Not only I stayed here, but I lived here for 5 months. 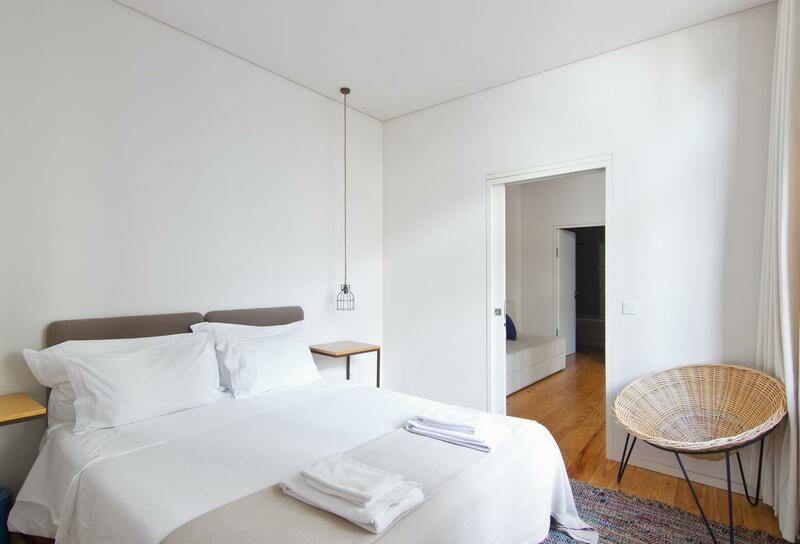 Exceptional minimal and modern decoration, impeccably maintained and extremely close to the beating heart of Porto: Aliados. This day is dedicated to the south area of Porto city center, next to the river. 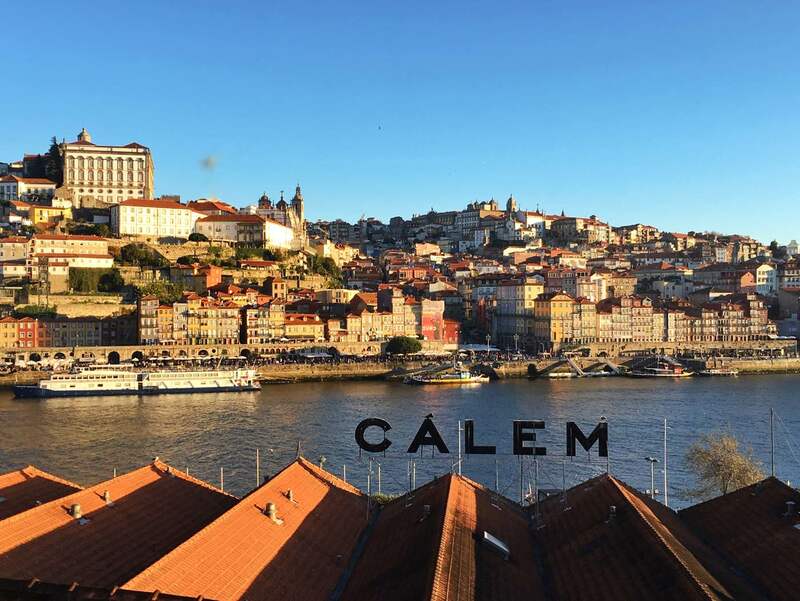 I don’t want to rise your expectations too much, but you’ll see the beautiful Douro river, centuries-old wine cellars and perhaps the most charming cityscape you’ve ever seen. For the best trip experience, pick the best weather possible for this day. If needed, swap the route with Day 2 instead. One of Porto‘s historical landmarks, Sé do Porto (or locally known as Sé) has a privileged location, with its grounds overlooking the city and the river. It was built in the 12th century – even before Portugal’s independence as a country! – and some refer to it as the birthplace of Porto. The surrounding neighbourhood of Morro da Sé is the oldest district and with the most genuine residents in the city. ⏱ Hours: Open from March until November between 09:00 and 19:00h. Closes an hour earlier during low season.  How much: As per 2018, the standard ticket to the cloister is 3 EUR. Entrance is fee to the cathedral.  Pro tip: I recommend going in and pay the entry fee to the claustro if you’re a history fan. This double-decker bridge is an icon of any trip to Porto. Connecting the cities of Porto (the charming area of Ribeira) and Gaia (wine cellars area), its construction heads back to 1881. 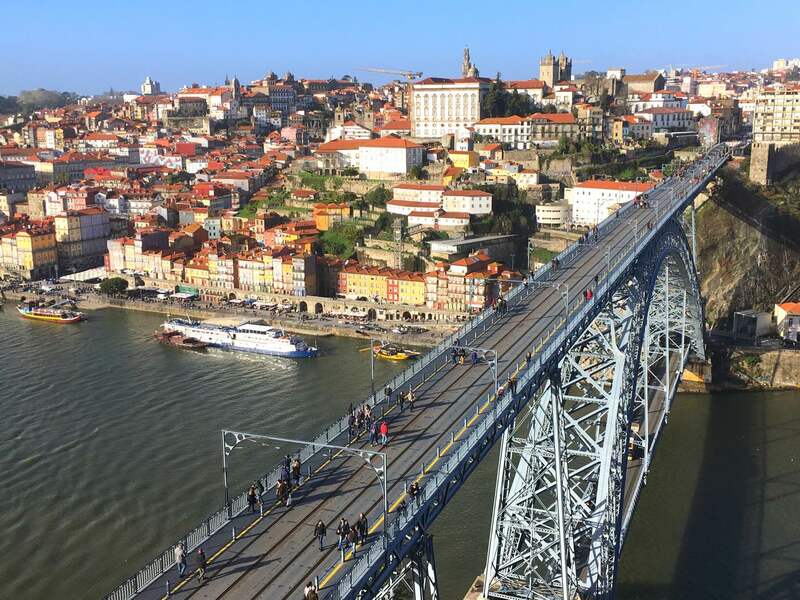 The upper platform is car-free and with wide open views of the river making its way through Porto. You only need to be aware of the frequent metros passing by. The lower deck is mainly used by cars, with only small sidewalks on both sides for crossings on foot. On summer, you can see people jumping to the river from here. Not an activity I can recommend. Consider crossing the lower platform to go to Gaia and the upper platform to go back to Porto for the full experience. Sitting close to the river and next to Palácio da Bolsa, Igreja de São Francisco is the best example of Gothic architecture in Porto. Nevertheless, it’s more famous for its dazzling Baroque decoration in the inside. Since it was built in the 13th century, it is believed to have gathered over 300 kilos of gold dust that are now used to decorate the interior. Worth to go inside, but if you’re on a shoestring budget and are not a church fan, this place might not be for you. ⏱ Hours: Open from July until September between 09:00 and 20:00h. Closes at 17h30 during peak winter months.  How much: 5 euros.  Pro tip: If you’re on a shoestring budget and you’re fine just visiting churches from the outside, add Igreja das Almas in Bolhão to your itinerary. The medieval maze of streets of Ribeira neighbourhood is a must-go for any visitor. Located right next to Douro river and protected by UNESCO since 1996, it’s packed with colorful and tiled old buildings oozing with charm. Now the sad part. Tourism has boomed in this part of the city – it’s Airbnb-land – and these days there are too many overpriced cafés and places to eat. Some of them are worth the dreamy river views; some others aren’t. As usual, avoid restaurants with big pictures on the menu or with hawkers trying try too hard to pull customers on the street. Wine culture is strong in Porto, particularly Port wine. Vineyards of Douro Valley have been producing exceptional quality wines which were then transported to wine lodges in Vila Nova de Gaia to age and later shipped worldwide. 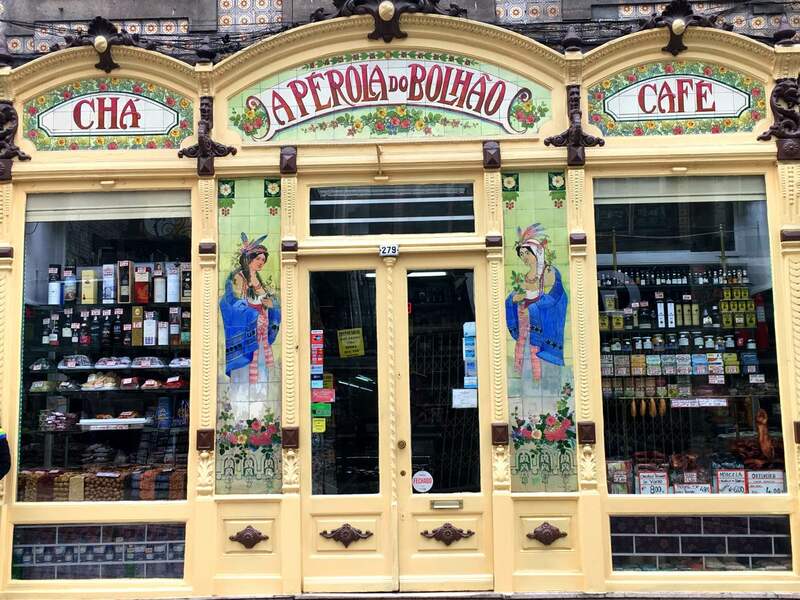 Don’t settle for the wine lodges right in Cais de Gaia and the immediate surroundings. Most of them serve cheap wine tastings which are nowhere near the level of a true Port wine. It’s worth to pay a bit more and experience better Port wines, specially if you are a wine enthusiast or have at least already tasted this kind of wine before. As a rule of thumb, the higher up you go from the river, the better quality are the lodges. I’ve visited a few – some of them 2 or 3 times! – so here are some of top recommendations. Taylor’s: perhaps the most fancy setting of them all, but no human guide. The cellars are VERY camera-friendly and the outdoor seating is just lovely. An audio tour + 2 port wine tasting costs 12€/person (2018 prices). Croft: the “Croft experience” includes a visit to the cellars and a tasting of 3 special Port wines, including the first rosé Port wine in the world. If you’re up for it ask for a table of cheese tasting to go along. Divine. Tickets cost 10€ (2018 prices). Offley: I went to Offley’s wine tour some years ago and I remember it as a great and affordable experience, with an informative guide and great wine tastings included. Since then, I always find this place closed (even on times they’re supposed to be open), but you may have better luck with their erratic schedules. Ticket is 10€ (2018 prices). Want a great way to finish off your day with beautiful views? Well this is it. 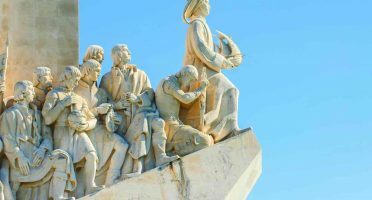 Just a short walk from the upper tier of the D. Luis Bridge, Serra do Pilar is a spot of excellence for photos of the city (bring your camera!). From here you have priviliged views of Ribeira, Gaia, 4 different bridges over Douro and the whole cityscape of Porto. At night, with the bridge lit up, this is a hell of a romantic spot. If it’s too windy, cold or you’re simply too lazy to go up there, the nearby garden Jardim do Morro is also a good choice for sunset views. Pick your spot, grab a bottle of wine and some snacks and enjoy the show! I’ve made the hard work for you. 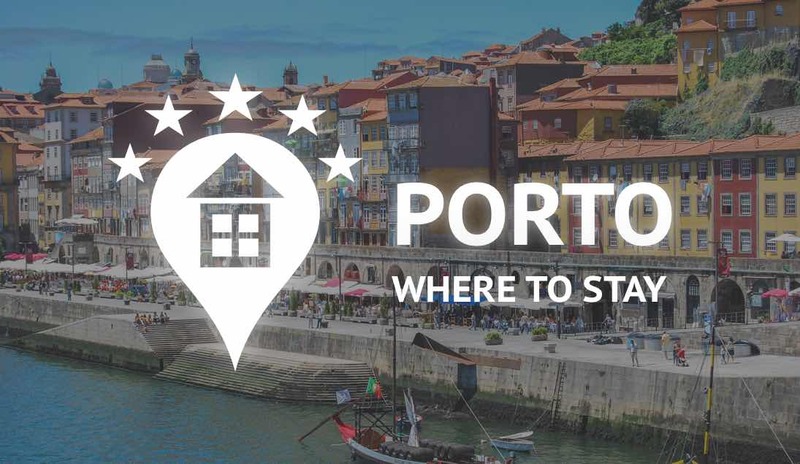 This is a pre-filtered list of hotels in the best areas to stay in Porto. Considered one of the most beautiful railway stations worldwide, São Bento is a major train hub in the heart of Porto. The outside is majestic, but it’s worth to go inside the lobby and spend some time appreciating the beautifully intricate tile art. 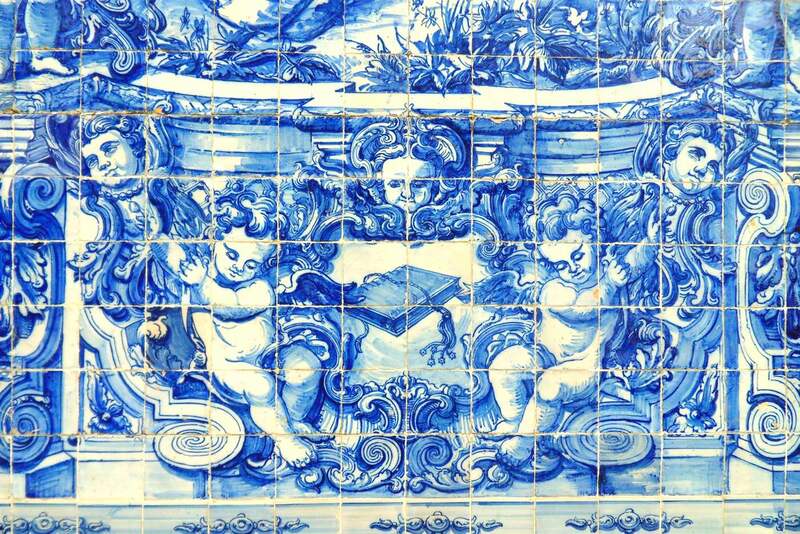 There’s a total of 20,000 tiles here portraying different scenes of Portuguese lifestyle. There are direct trains from São Bento station to cities like Aveiro, Braga and Guimarães. Any of these is a great choice for a day trip. Personally I preference goes to the latter – considered the “birthplace” of Portugal – with a beautiful historical center and castle. Apart from these destinations, the other train station in Porto, Campanhã, also has direct trains to the main cities in Portugal, like Lisbon, Faro and Coimbra and Pinhão in the Douro Valley. Pro tip: if you come from Lisbon by train and arrive to Campanhã, you can still switch to a train heading to São Bento with no extra charge. Avenida dos Aliados is a boulevard sided by impressive granite buildings of different architecture styles. I love the little details like gargoyles, domes and spires that ornament banks, theatres and hotels. At the top of the avenue, the town hall – Câmara Municipal – dominates the landscape. Funny enough, this might be perhaps the only place you feel you’re in a big city in Porto. Clérigos Tower is the tallest one in Portugal, with more than 200 steps and 49 bells. 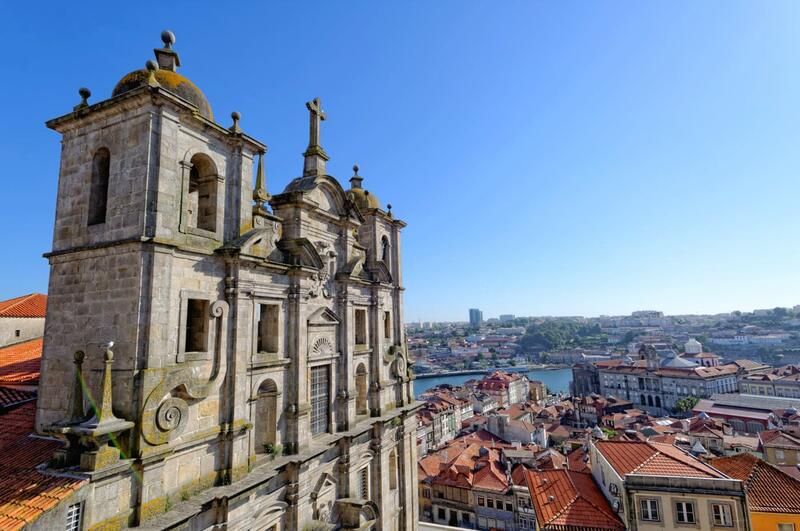 With a baroque style it’s been dominating the skies of Porto since the 18th century. It’s worth to go all the way up – prepare to sweat a bit – and enjoy the magnificent 360-degree views over Porto. The south view, facing the rooftops of Ribeira and with the Douro in the background is particularly beautiful. ⏱ Hours: Everyday, from 9:00 to 19:00.  How much: As per 2018, the ticket to go up the tower costs 5 EUR and it includes the entrance to the Clérigos Museum.  Pro tip: If you have Porto Card, there is a 50% discount. The popularity of Lello sky-rocketed with the success of Harry Potter books and since a few years ago. Supposedly, J.K. Rowling inspired herself on the stairs to create the moving staircases in the Harry Potter books. Facing massive crowds into a tiny shop filled with gems, the owners felt pressured to charge a ticket. The neo-gothic façade is impressive by itself, but it’s the intricate design and the showstopper art nouveau red staircase inside that makes many come here. Expect a tiny and crowded space but it’s worth it – everything about it is incredibly detailed and beautiful. ⏱ Hours: Everyday, from 10:00 to 19:00.  How much: As per 2018, the ticket to go up the tower costs 5 EUR and is deducible in the purchase of any book.  Pro tip: Do not queue without a ticket – you can buy it on the shop just on the corner of the street. Tiles are one of Portugal‘s main unique symbols. So how about an entire building covered in them?! 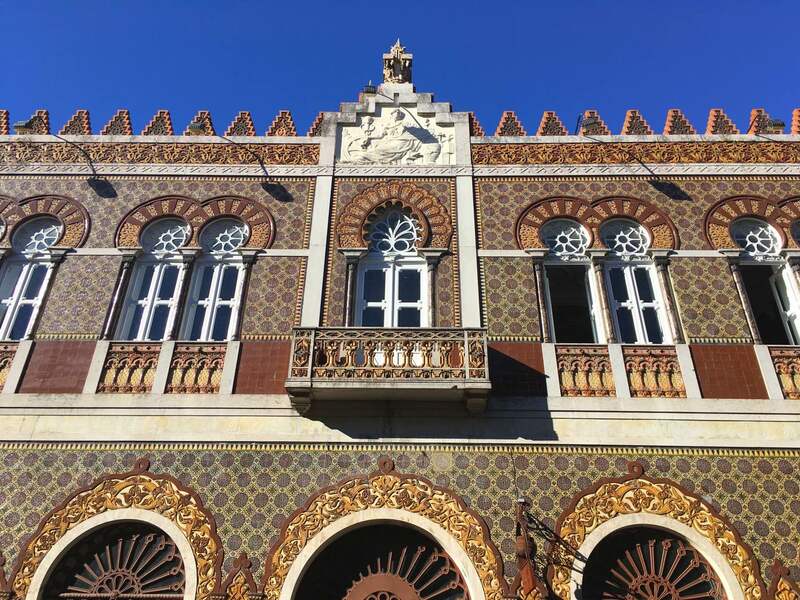 Dating back to the 18th century, this impressive church with a side fully covered in classical azulejos (tiles) is one of the finest architecture gems you can find in Porto. One of my favorite places in Porto. It’s literally translated as Crystal Palace Gardens, but oh no, these aren’t just any gardens. Visit the romantic rose gardens and fountains, watch the peacocks wandering around and especially breathe in while appreciating the most breathtaking views of Porto, Gaia and Douro. Honestly, can’t think of a better way to end your trip! ⏱ Hours: Everyday, from 08:00 to 19:00 Oct-Mar and to 21:00, Apr-Sep.
 How much: Absolutely free.  Pro tip: There’s free WiFi provided by Wifi Porto Digital. Embark in a river cruise in Douro. Several companies with hour-long cruises depart from Cais da Ribeira pass under 6 (!) different bridges. The boats are similar to rabelos, the type that used to bring wine barrels all the way from Douro Valley. I’ve been in one with live fado music – a nice touch! As expected this is an extremely touristy activity, but with sunny weather, a very cool boat ride. Expect prices around 15 EUR (2018 prices). One of the most bold and modern architecture examples around, Casa da Música was the main icon for the candidature of Porto as European Culture Capital back on 2001. Today is a big part of the cultural agenda of the city and a famous place for music concerts and shows. If you’re curious, make your sure to buy your tickets in advance. Nice park next stretching vertically all the way down on a steep slope to Miragaia neighbourhood. Right next to the entrance there’s a fabulous restaurant with a great value-for-money lunch menu: Árvore. Amazing views over Gaia and the Douro river all around. Foz do Douro has been the area of choice for posh residents of Porto for decades. With its seaside vibe, blue-flag Atlantic beaches and outdoor cafés and esplanadas, it’s a relaxing getaway from the urban side of Porto. No wonder is a popular place for surfing. Here they have a-ma-zing food choices, particularly if you’re looking to splurge on some high-quality seafood. 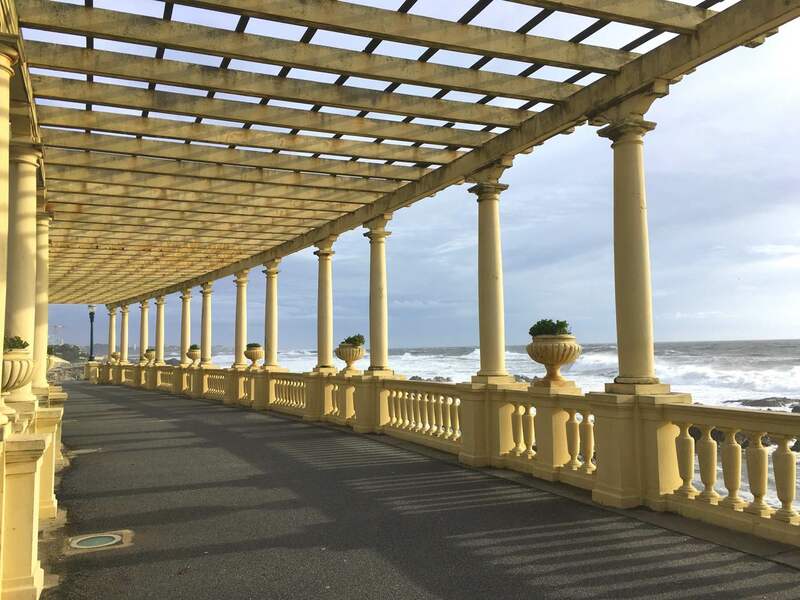 Also visit Castelo do Queijo and the beautiful structure of Pérgola da Foz. Bus: Hop on the 500 bus that will take you to Foz from Praça da Liberdade, in Aliados. Cheap and efficient. Note: the bus goes to Matosinhos, so you need to exit before. Tram: The tram line 1 connects Infante (in Ribeira district) to Passeio Alegre, in Foz. It’s definitely a more unique experience, but also more touristy. Uber: you know what to do. If not, here’s a discount for your first time. Porto has got a relatively small city center so by staying anywhere in downtown you’ll be in walking distance from all the major sights. 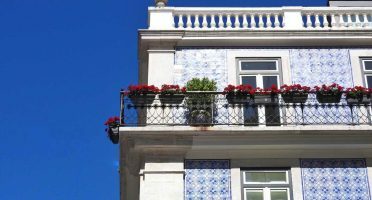 Accommodation in Porto is generally inexpensive, but more and more modern hostels and fancy hotels are popping out, giving the city a much needed facelift but also raising the prices. Airbnb is also on the rise, and there’s many charming apartments to choose from. Even though some are still dodgy apartments in old buildings, often with poor maintenance and cleaning standards. Whatever you choose my top suggestion is: book early. The best places to stay sell out quickly. If you’re coming for São João in June, make sure you book your room even earlier! When looking for a place anywhere, my #1 priority is location, location, location. Porto is no different. 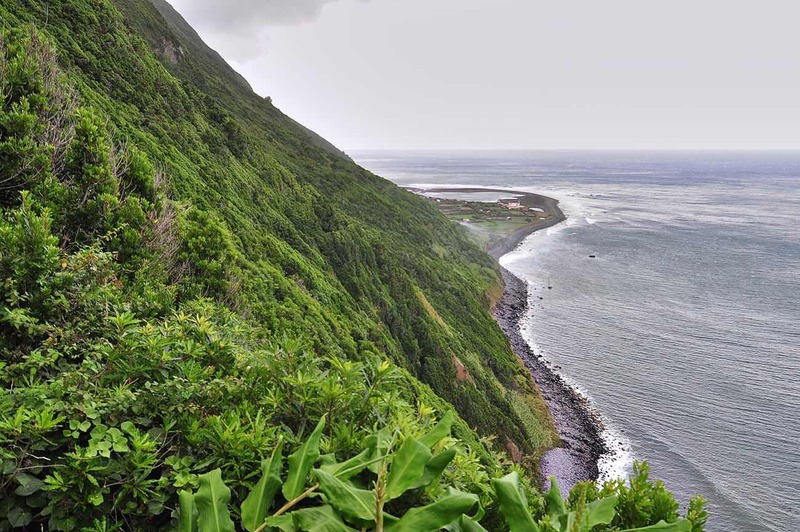 My favorite areas to stay are Aliados, Bolhão and Trindade. These might not be the prettiest, but they are public transport hubs (bus, metro) and have great places to eat and shop nearby. I’d avoid staying in Fontainhas and Heroísmo just because it has a history of being a problematic neighborhood (even though this is changing now). Ribeira and Rua das Flores areas are both charming places to stay, but they’re now SUPER touristy which takes away a bit the uniqueness of the place, if you ask me. Use this list of quality hotels and guesthouses I’ve put together to get you started. ALL of these are located in the best central areas of Porto, with WiFi and with a rating of 8 or higher. Or, even easier, just have a look below at my top 2 recommendations and see if you like any. Not only I stayed here, but I lived here for 5 months. Exceptional minimal and modern decoration, impeccably maintained and extremely close to the beating heart of Porto, Aliados. Don’t leave Porto without eating a francesinha. Sort of a meat sandwich on steroids. You eat it on the plate, with cheese, egg, cured meats and a delicious beer and tomato sauce. Many places will claim to serve the best one, my favorite is Brasão. Lunch menus are extremely accessible in Porto. In 2018, I got soup+main+drink combinations starting at 5 euros . In fancier places, Menu executivo are slightly more expensive (around 9,10 euros) but can also include dessert and couvert. Avoid taking taxis, specially from the airport. Uber and Metro work very well and are cheaper and scam-free options. Tipping is completely optional. You only do it if you feel the service was particularly special. If you’re coming for São João in June, book your accommodation early. Also avoid staying in Ribeira neighborhood if you plan to sleep on the night of the 23rd June. 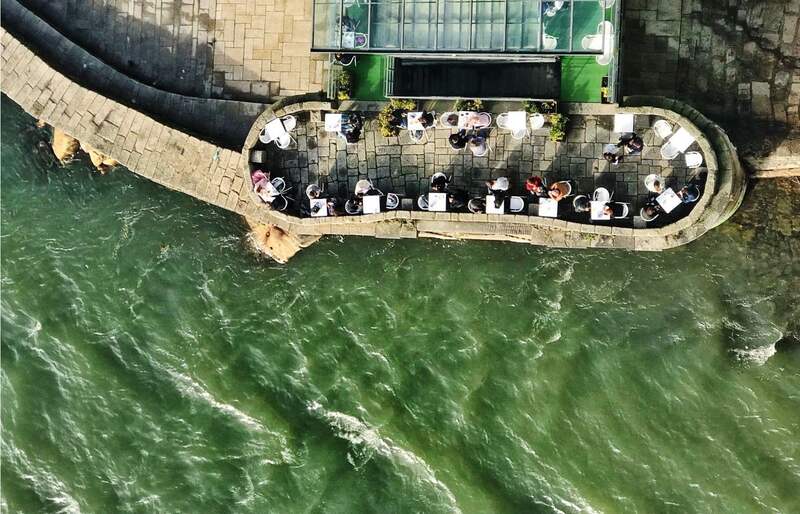 Avoid the cafés and restaurants right next to Douro in Ribeira. Yes, the views are splendid, but with the exception of a handful, the money-quality ratio is far from being great. Tipping is completely optional. You only do it if you feel the service was particularly special. If you’ve used this Porto itinerary for your weekend, please share your feedback below!